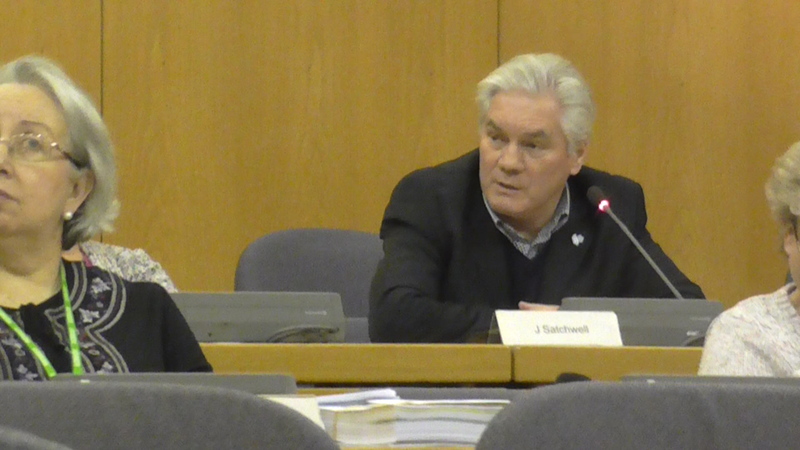 It was with little surprise that the joint Health and Neighbourhoods Scrutiny board decided to take “no action” regarding their council’s clandestine cull of Canada geese, overseen by the loose cannon Parks manager John Satchwell. 1To take “no action”- basically backing the cull without taking any further questions. 2. 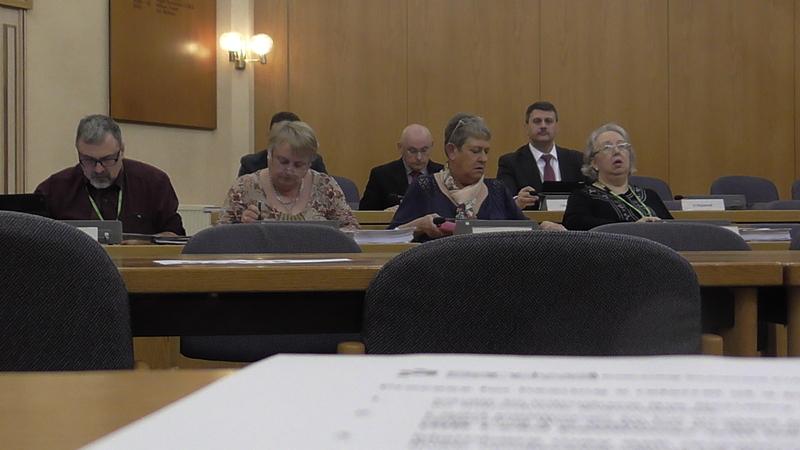 Referring the matter to full council- Not really anything other than a gesture for more councillors to ask questions and stack the deck even further in the council’s favour. 3. Launch an investigation. This was the only action that we supported because there is a clear case to answer that the officer overseeing this cull and the process behind it was flawed, totally off the record books and can also be shown to be illegal. The bizarre “statement of purpose” document will be looked at in more detail in the weeks to come, but this indicates a change of policy, whereby it also admits that they did not have one prior to this, but this does not however appear to be the case. 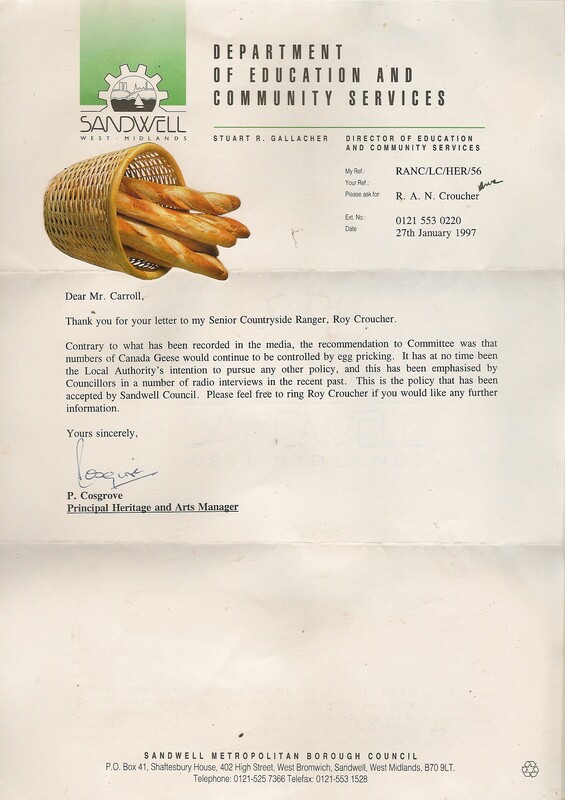 Many years ago in 1997, there were reports in the local media that Sandwell would be culling geese. It never happened. I wrote a letter, and received the following response from the man in charge of parks at the time, Paul Cosgrove. This clearly states that the council would be maintaining egg pricking, though we know from Sandwell council sources that over the last 18 years this has not been happening to the extent that they claim. If it had then where have all the extra geese come from? Fast forward to 2013, it appears that this policy went out of the window in an unapproved by any “change of policy” to exterminate 220 geese in two parks ; one where the now parks manager lives, and his son of the same name is project manager of the other. They think people have short memories. This General licence can be read in full HERE..
this licence, a level 5 fine (£5000) and/or a six month custodial sentence. BUT WHEN CHALLENGED AT THE SCRUTINY MEETING TO PROVE THAT THE GEESE WERE A THREAT TO PUBLIC HEALTH AND PUBLIC SAFETY, DISPATCHWELL AND CO FAILED WOEFULLY TO PROVE ANYTHING OF THE SORT. On the issue of accidents resulting from slippage of faecal matter, an issue which Satchwell and co wanted to make a big deal out of, but only showed that they had left it there for the photo opportunity. HERE IS WHAT WAS LEARNT AT THE MEETING. NO AWARENESS OF ANY INJURY TO MEMBERS OF THE PUBLIC AS A RESULT OF SLIPPAGE ON GOOSE FAECES ACCORDING TO JOHN SATCHWELL. LISTEN TO THIS RECORDED EVIDENCE BELOW. On the issue of Sandwell council having any laboratory evidence to prove that they had determined direct evidence of a threat to public health and public safety from pathogens in the two parks where they carried out culling for this supposed purpose. HERE IS WHAT WAS LEARNT AT THE MEETING. NO EVIDENCE OF ANY PERSON BEING ATTACKED BY GEESE IN SANDWELL, YET SANDWELL LABOUR “SCRUTINY” TOOK “NO ACTION”. SO SANDWELL LABOUR “SCRUTINY” APPEAR TO TAKE ACTION ON THE BASIS OF VISIBLE MESS AND MEASUREMENTS OF COUNTING A SINGLE SPECIES , BELIEVING THAT NUMBERS INCREASE THE “RISK” TO PUBLIC HEALTH AND PUBLIC SAFETY, WHEN THEIR OFFICERS HAVE UTTERLY FAILED TO PROVE THAT A SINGLE BIRD IS ANY RISK AT ALL. “DIRTY”, “TOO MANY”, “AGGRESSIVE” – ALL NEGATIVE STEREOTYPES THAT DO NOT JUSTIFY A CULLING POLICY ON THE BASIS THAT SANDWELL COUNCIL CARRIED OUT THE CULL. 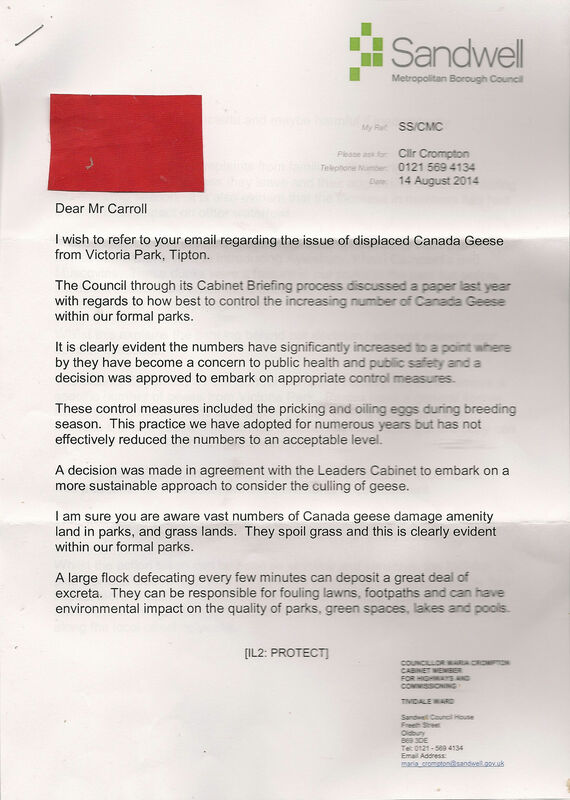 THE GEESE ARE NOT A THREAT TO PUBLIC HEALTH AND PUBLIC SAFETY, AND SANDWELL LABOUR SCRUTINY HAS ONLY SUCCEEDED TO SHOW THAT THEIR OFFICERS HAD NO EVDIDENCE ON WHICH TO BASE THEIR DECISIONS, ONLY PREJUDICE OF ONE TARGET SPECIES. WE WILL BE TAKING ACTION BY WRITING TO NATURAL ENGLAND AND DEFRA WITH A RECORDING OF THE MEETING, AS TO HOW SANDWELL COUNCIL Failed to act within the purpose of this licence as set out in paragraph 1 and failed to comply with the terms and conditions meaning that the licence cannot be relied upon.